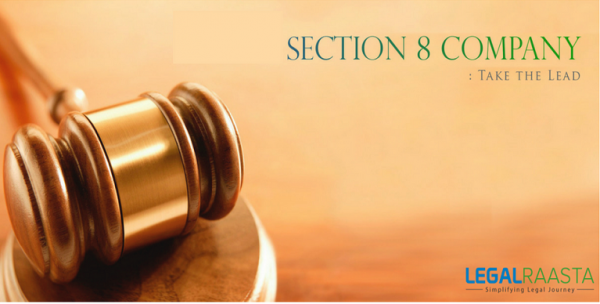 Section 8 Company is(2) established ‘for promoting commerce, art, science, sports, education, research, social welfare, religion, charity, protection of the environment or any such other object‘. Further profits, if any, or other income is applied for promoting only the objects of the company and no dividend is paid to its members. Therefore, Section 8 can be defined as a company registered for charitable or not-for-profit purposes, under the Companies Act, 2013. Higher credibility amongst donors, Government departments, and other stakeholders. Digital Signature Certificate (DSC) and Director Identification Number (DIN): While filing e-forms on MCA portal, Digital signature is a requisite for signing documents. It is a secure and authentic way of submission of a document electronically. Name Approval: An application is to be submitted in Form No. – INC 1 to obtain name approval by Registrar of Companies. Subscription pages of MOA and AOA- Each subscriber to the memorandum signs the MOA and AOA by mentioning his name, address, description, and occupation, in the presence of a witness (if any). A foreign subscriber should have all of the required documents attested by the Consulate of the Indian embassy in the respective country or foreign public notary. Other documents include Affidavits, Consent Letters, and Certificate of Compliance from a practicing professional in Form No. INC-8, etc. Names, descriptions, addresses, and occupation of promoters and board members of the company. There are certain clarifications and additional information which the company has to provide to ROC after the Incorporation papers are filed and reviewed is issued by ROC with a unique Company Identification Number (CIN). Incorporation Certificate enables a company to apply for PAN, Bank Account, Tan, etc. Documents claiming the ownership such as Sale Deed or House Tax receipt along with a NOC. As per Section 96(2), every company other than a one person company shall call an Annual General Meeting during business hours any day other than a National Holiday, within the Registered office of the company or in the city or village where the Registered office is situated. A notice of minimum 14 days is to be given before a General Meeting of the company is called [Section 101(1)]. Section 8 companies are given an extension of seven days for the purpose of sending copies of their financial statement, auditors report e.t.c. to their member’s debenture trustees etc. No provision of section 118 relating to minutes of proceedings from general board meetings etc. shall apply to section 8 companies, except where its AOA contains a provision that minutes have to be confirmed by circulation. For appointment of Directors, any number of Directors can be appointed in a Section 8 company without any need of Special Resolution. The quorum requirement for Section 8 companies should be either 8 directors or 25% of the total strength, whichever is lower. The audit committee of a section 8 company need not have independent directors forming a majority. For more information regarding Section 8 Company registration, you can visit Company registration Online. Is it mandatory to appoint CS for Section 8 Compliances?